It's May! Wow! When did that happen? Time is just zipping by folks! 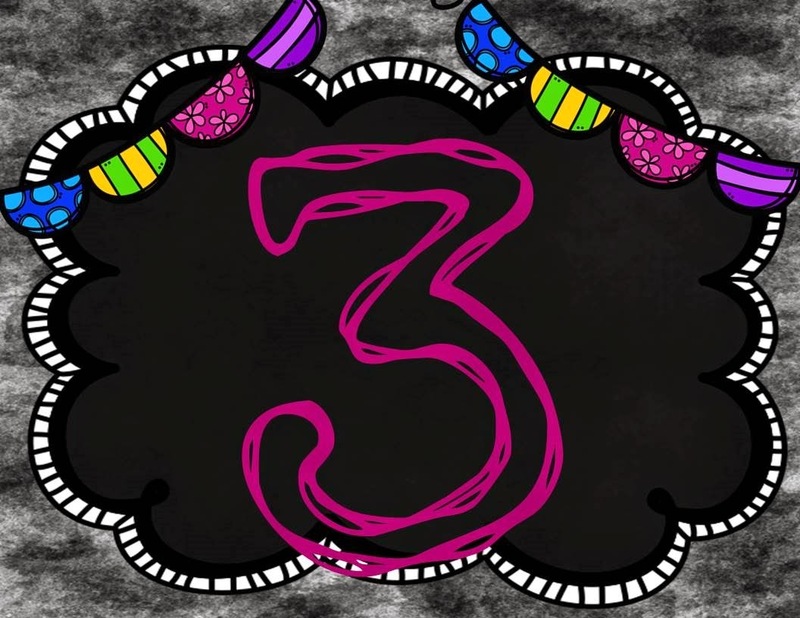 As we begin winding down the school year it's great to have some cute activities, ideas, and projects on hand. 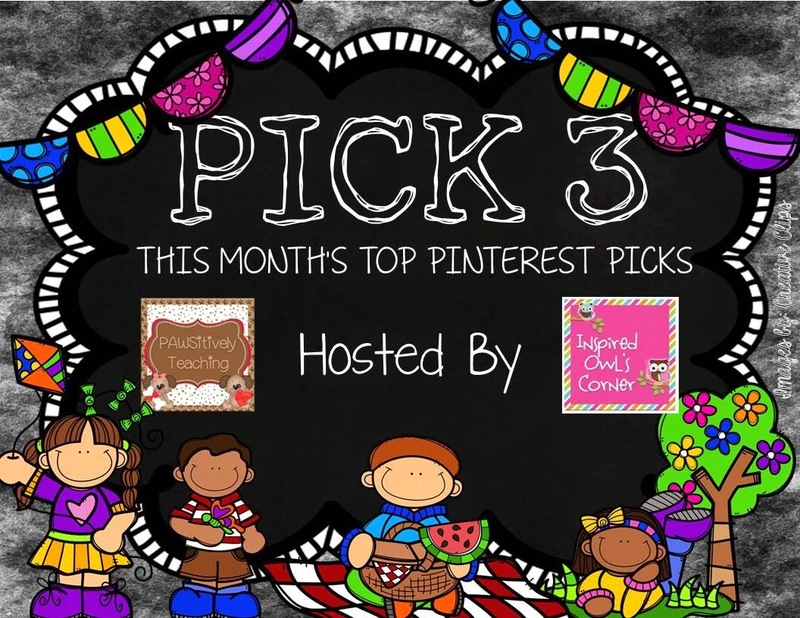 So without further ado, here are my top 3 Pinterest Picks for the month of May. Many, many thanks to my fabulously talented friends Marissa from Inspired Owl's Corner and Lisa from Pawsitively Teaching for hosting this incredible linky each month. It is always packed with amazing ideas and resources so make sure you check out the other bloggers who have linked up too! This image does not link to a website. It is just an image. These bird houses, made out of recycled milk cartons, are just adorable. 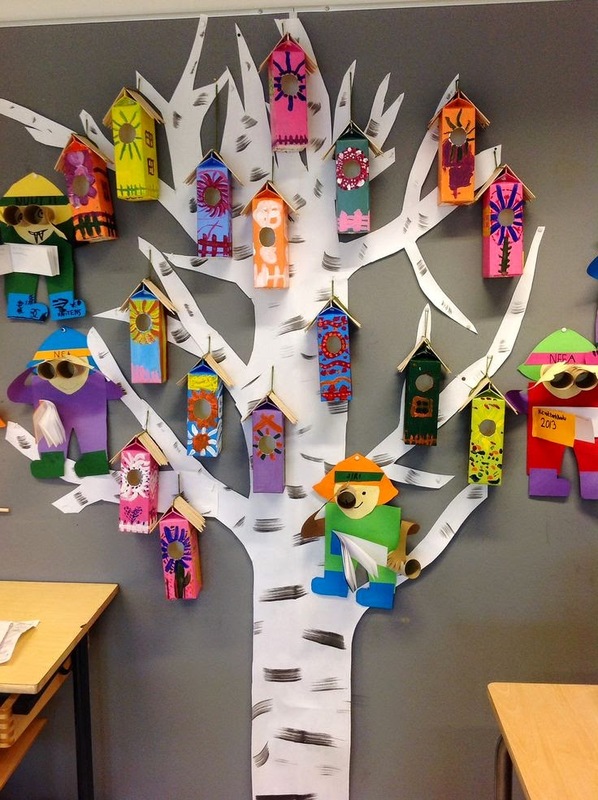 These would look so cute displayed in our classroom as we continue learning about habitats and shelters. Click on the image to go to the original pin. This dandelion fork craft is darling! I'm thinking of having my first graders write a poem about making a wish that we could do in correlation with this craft. We could display them in the hall outside our classroom. 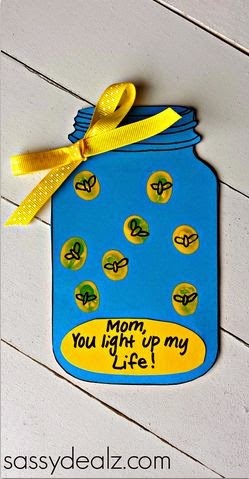 What a cute Mother's Day project this could be! I really like to use fingerprints or handprints as parent gifts. Using a child's unique fingerprint is so meaningful to parents. I still have mine that my son made in preschool and he's going into fourth grade! I hope you have found some useful ideas to use in your classroom! Don't forget to check out the terrific ideas posted by the other bloggers listed below too!